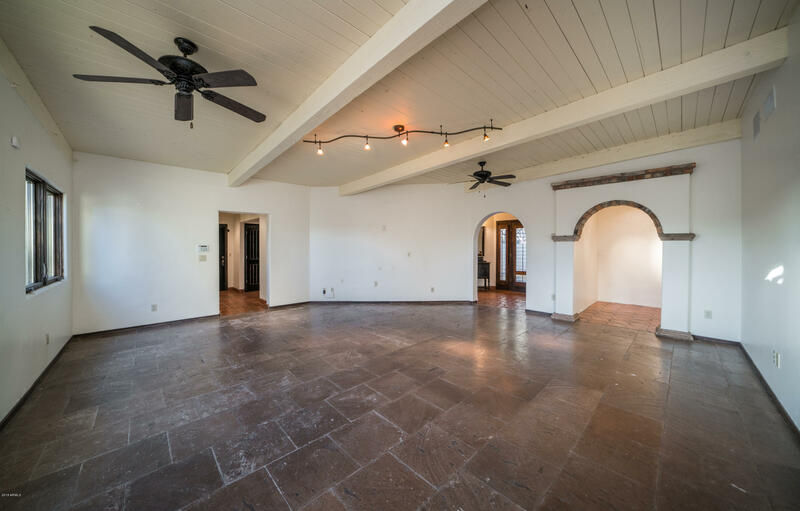 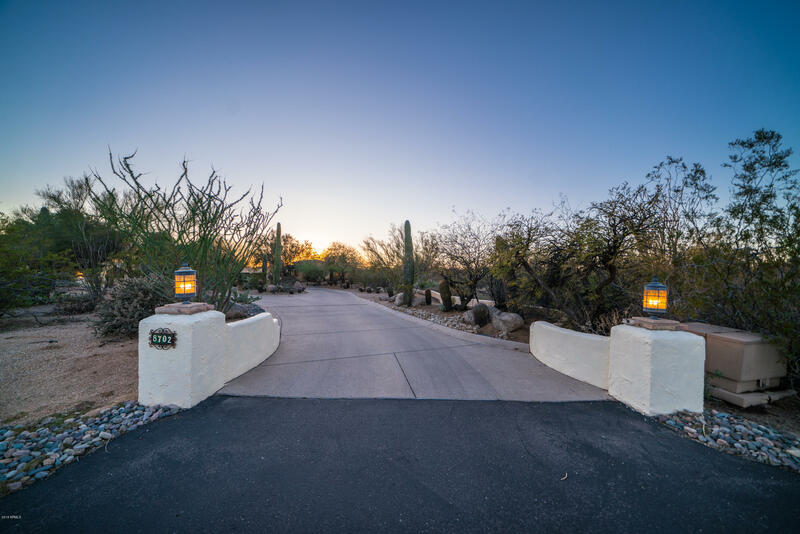 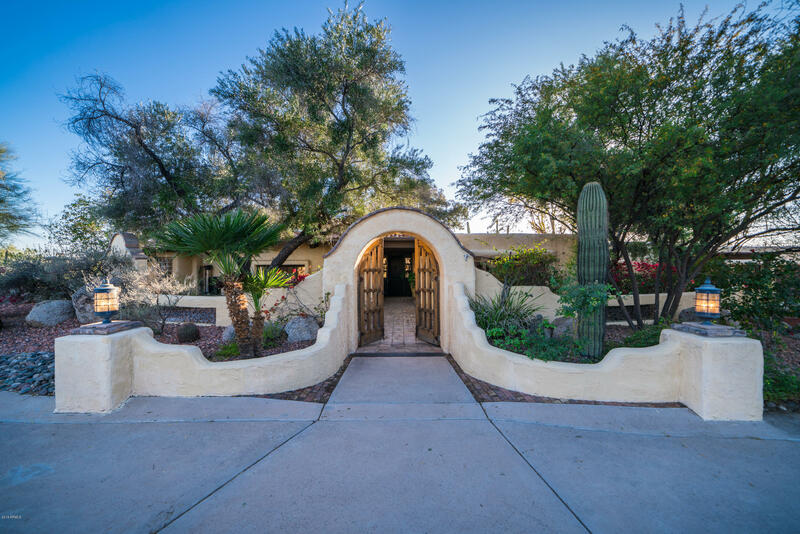 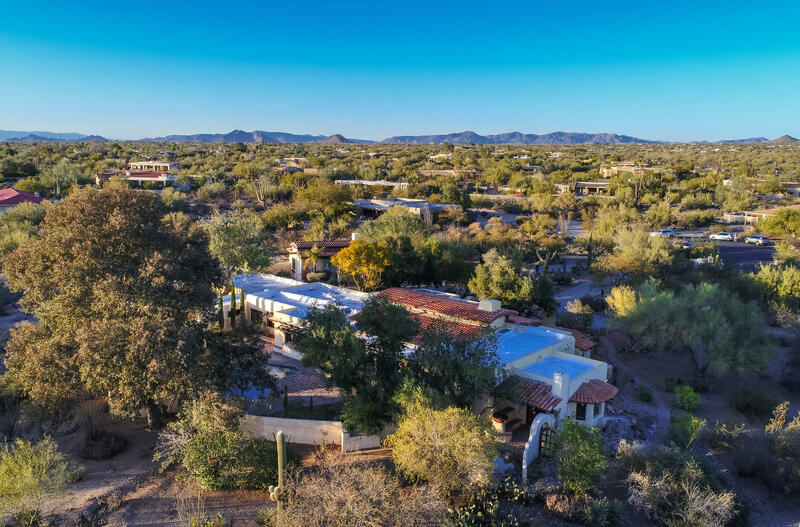 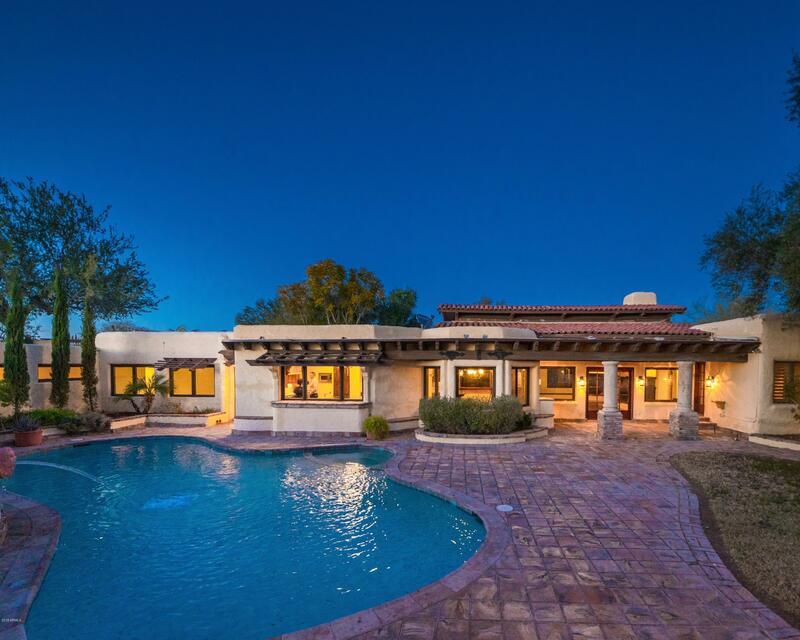 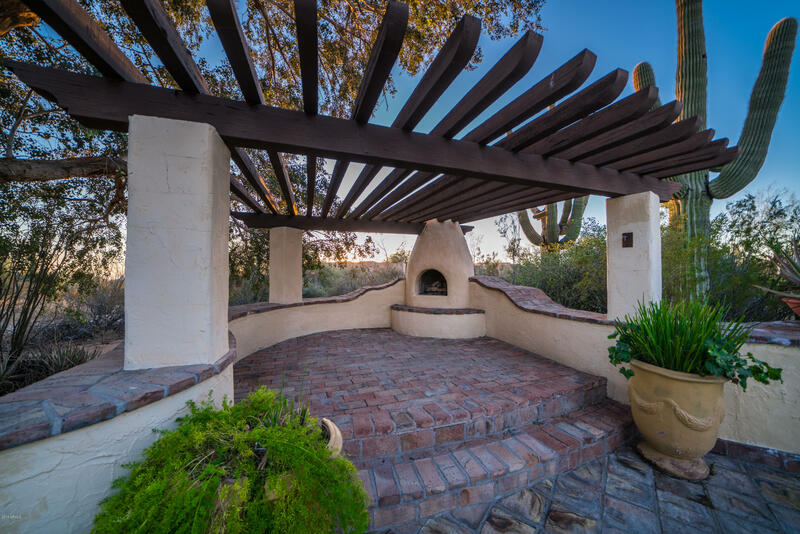 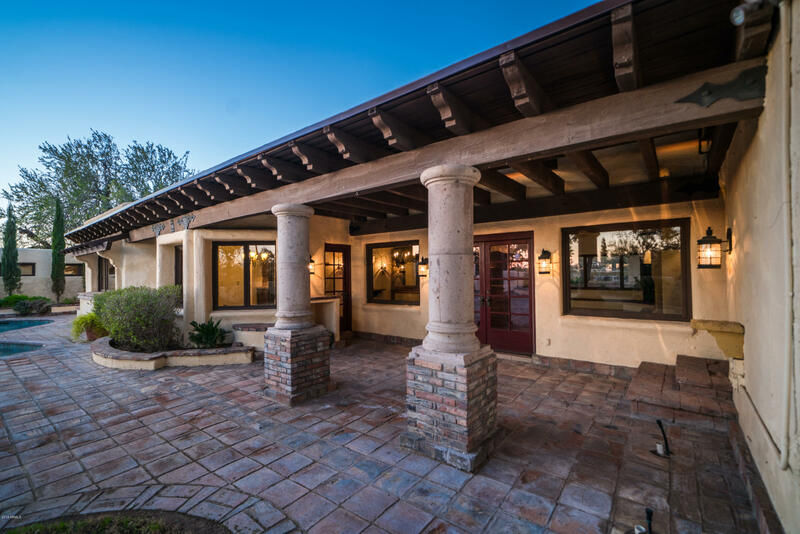 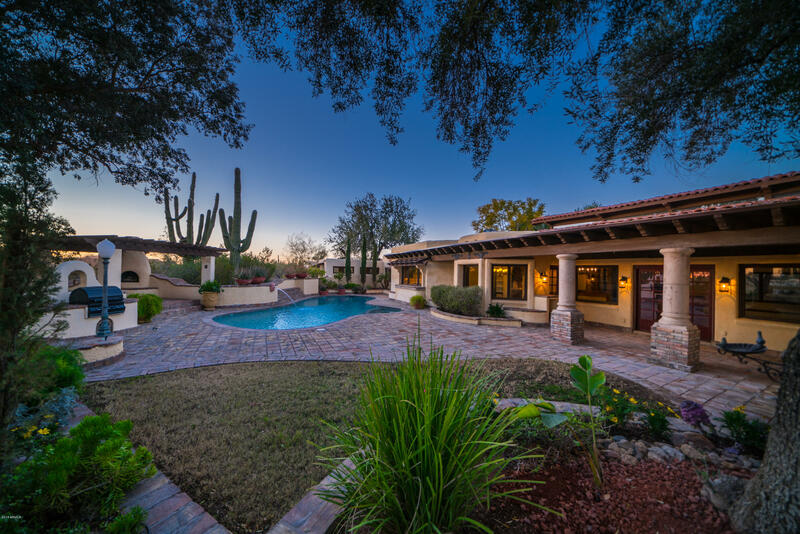 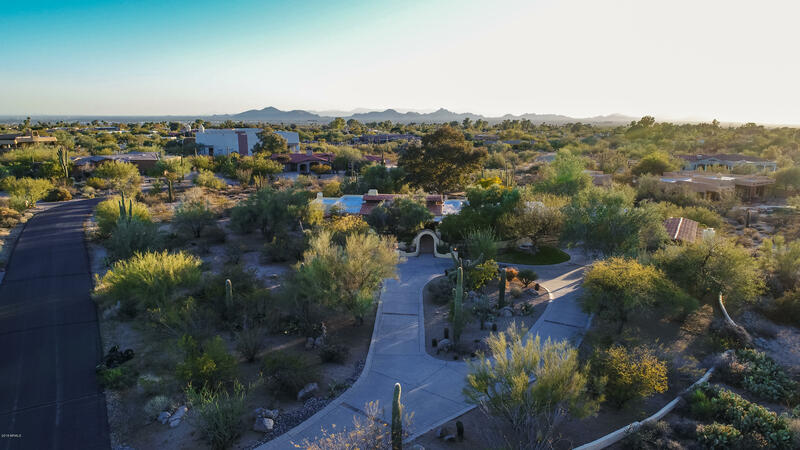 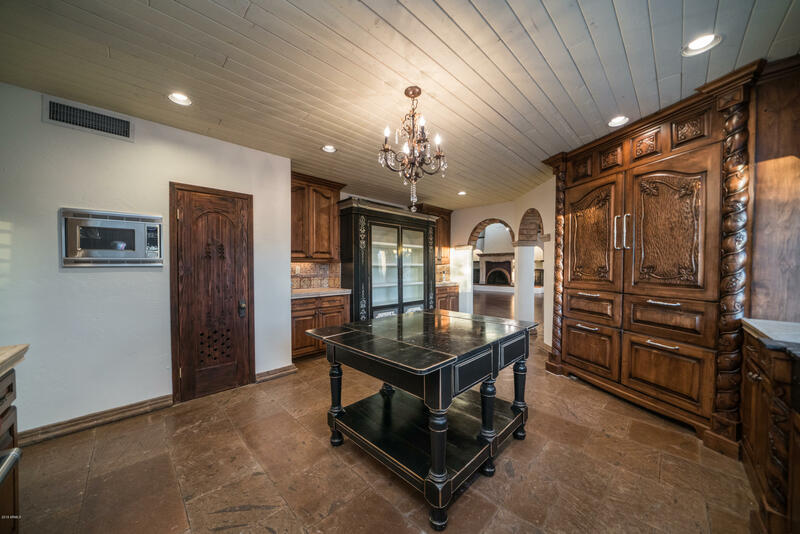 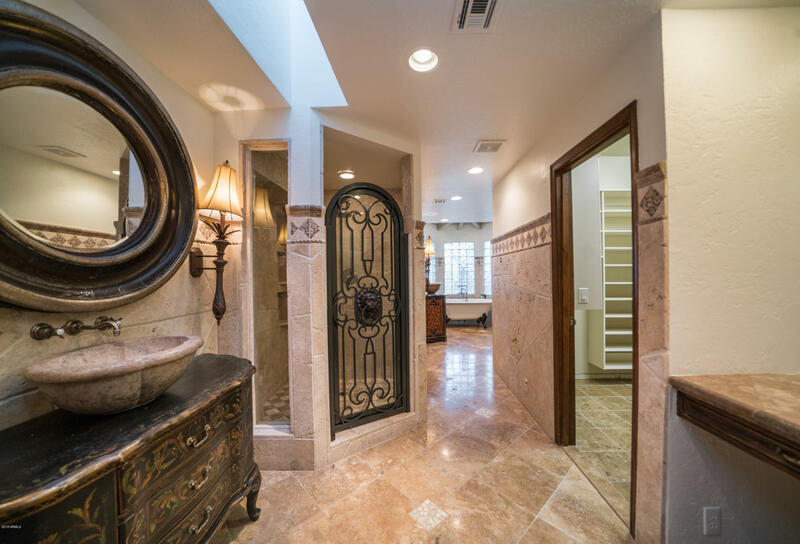 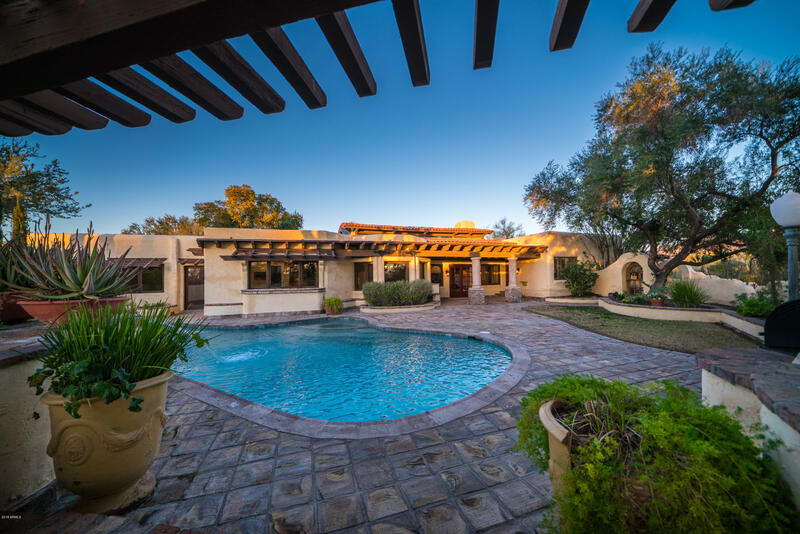 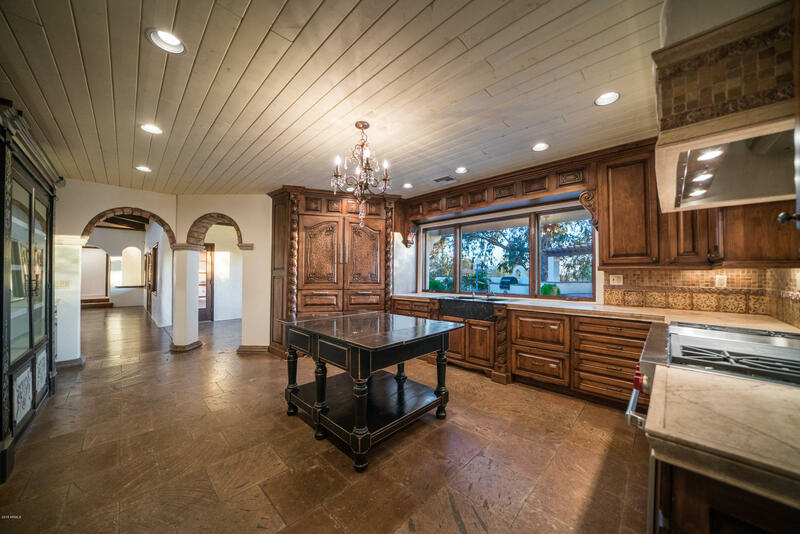 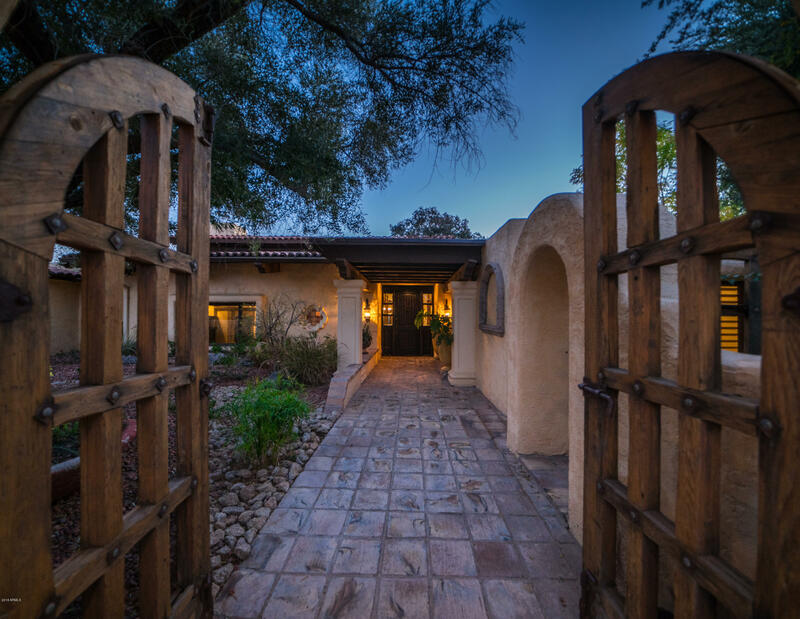 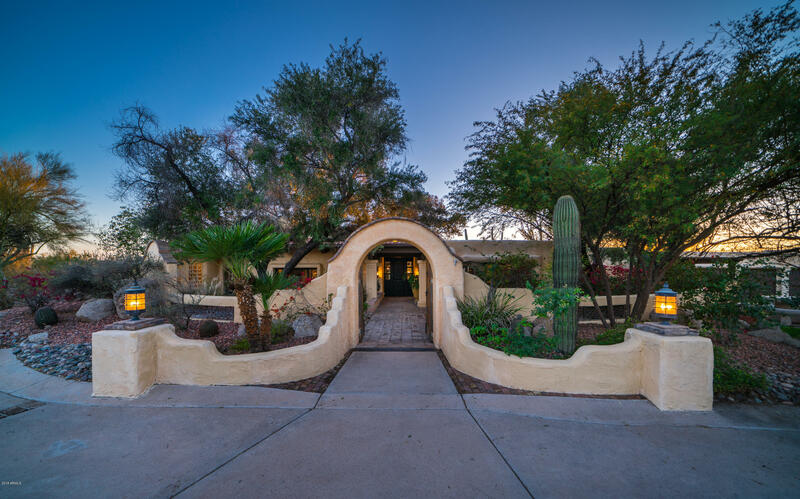 Discover the elegance of a Mediterranean Revival estate with detached casita in Pinnacle Paradise. 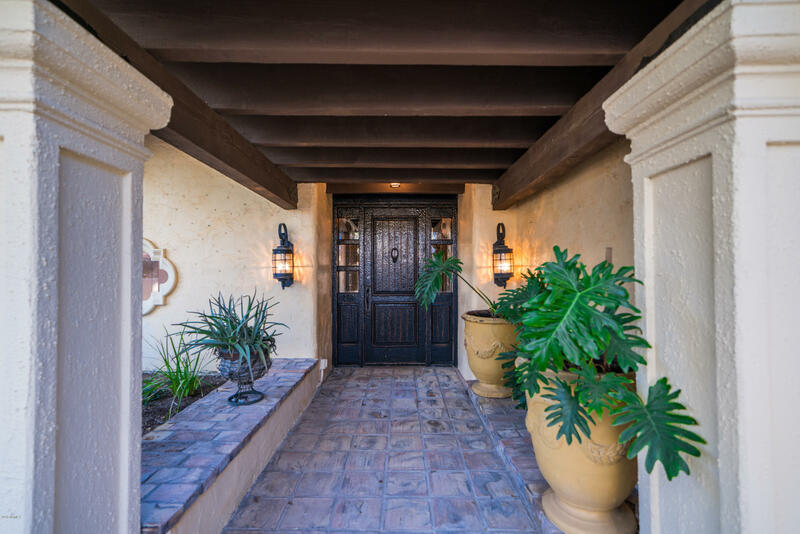 A traditional front courtyard with fountain and lush landscape welcome you to this magnificent home. 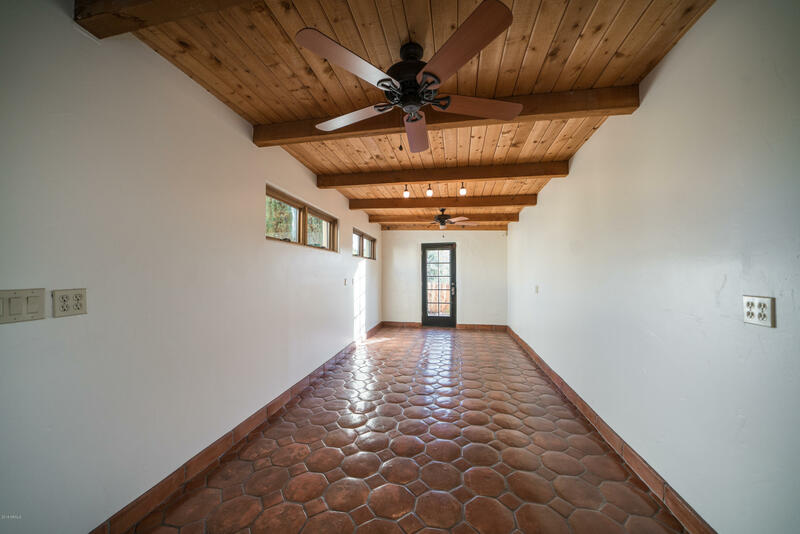 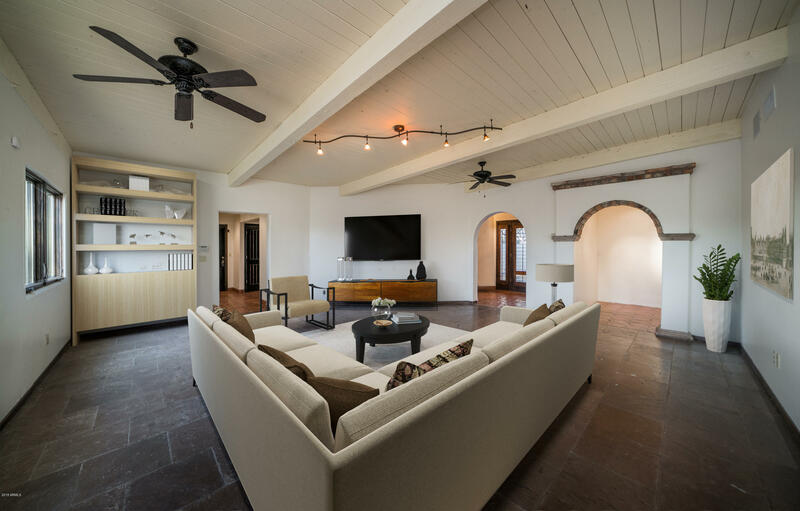 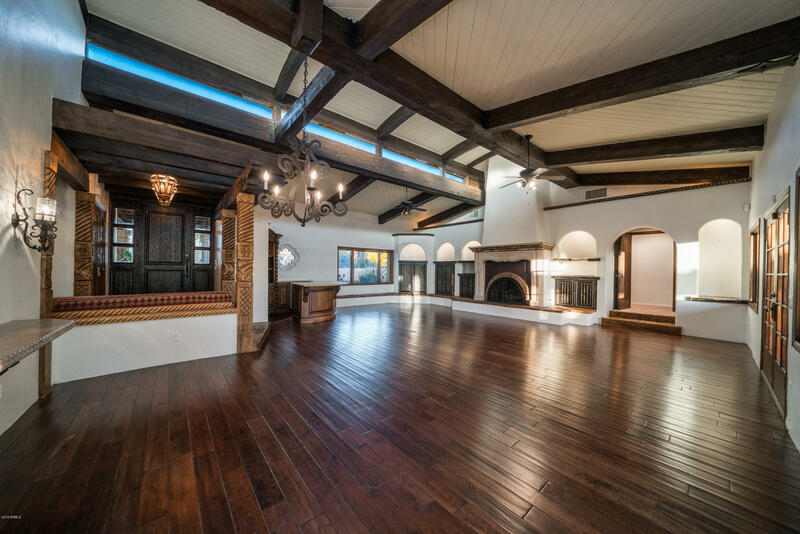 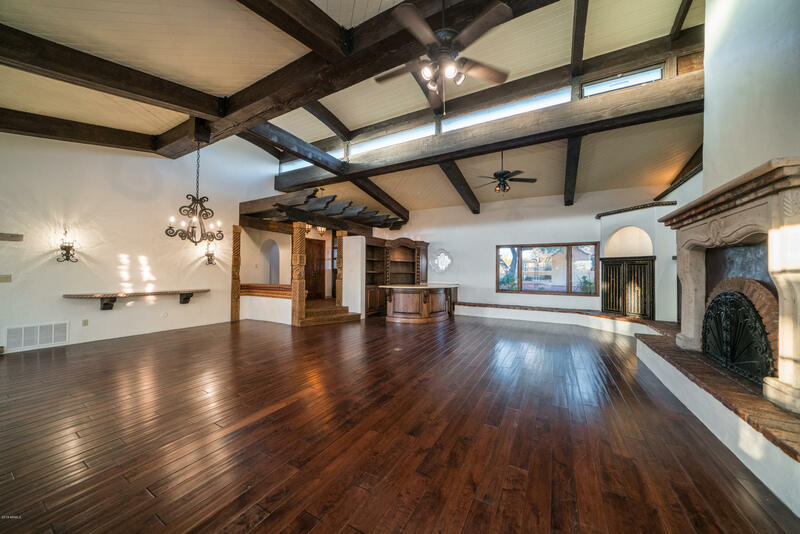 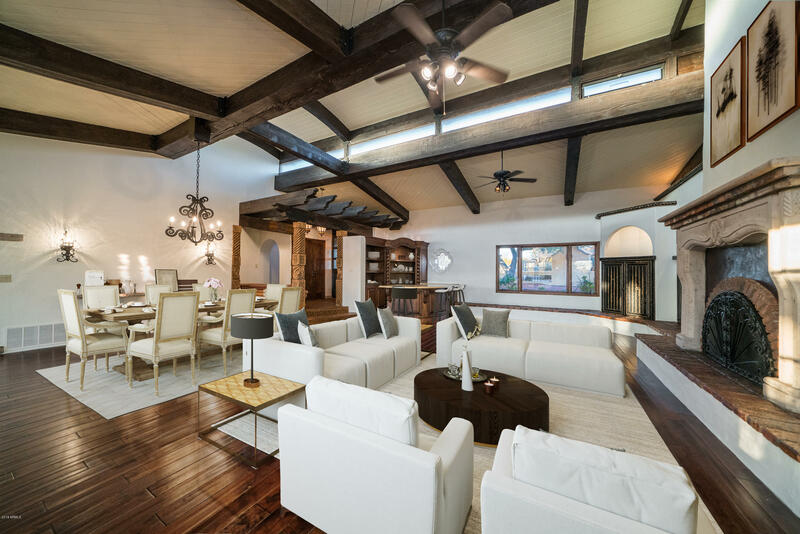 Step in to the sun-filled great room with soaring ceilings, roughhewn beams and authentic wrought iron details, and experience the warmth of this spacious home. 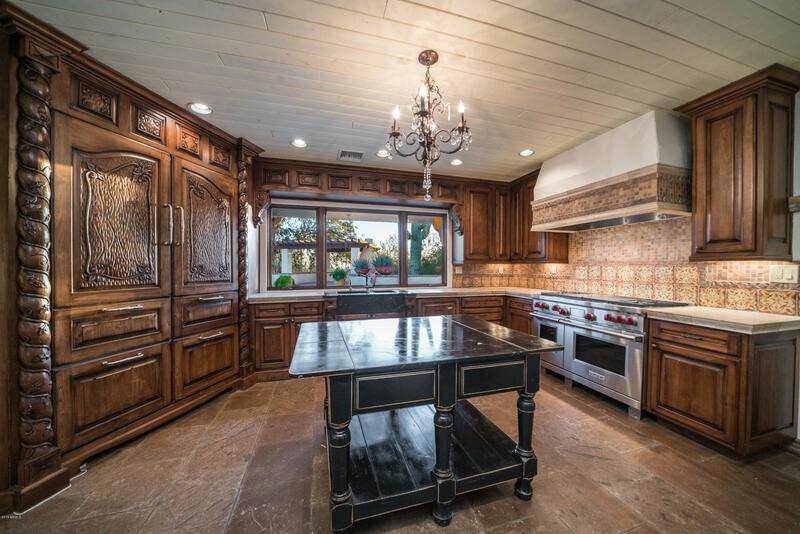 The elegant gourmet kitchen features luxury appliances and exquisite custom cabinetry. 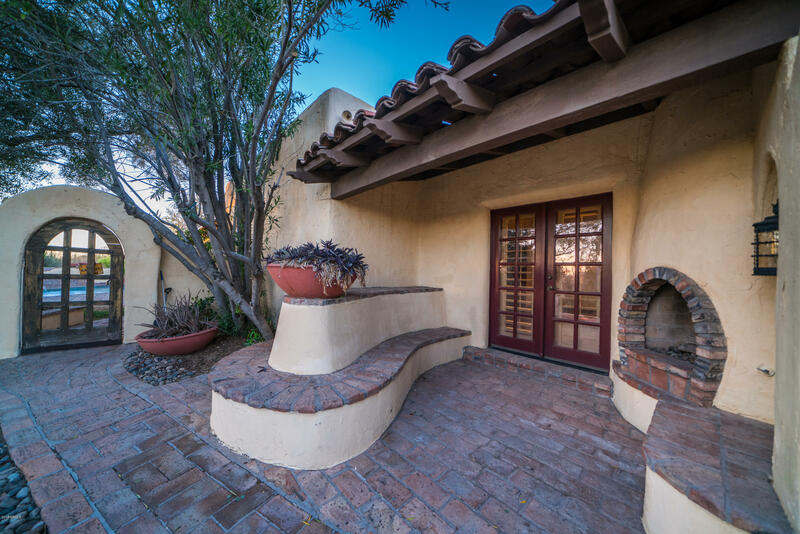 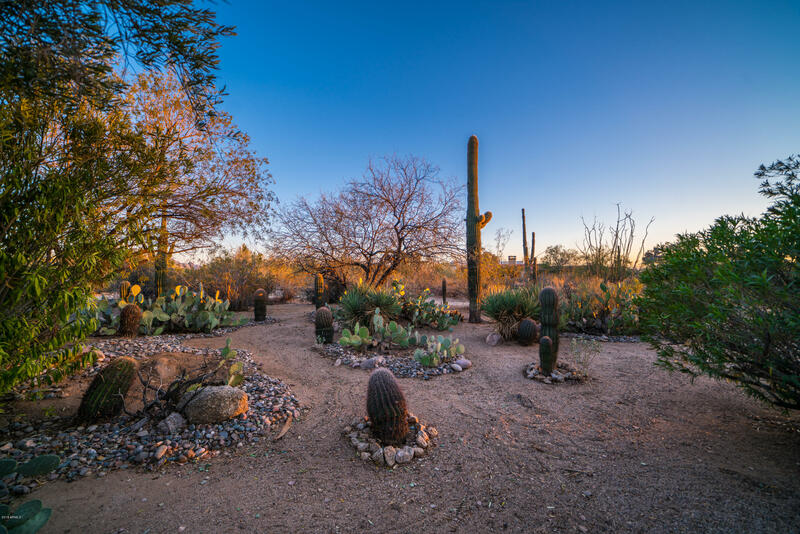 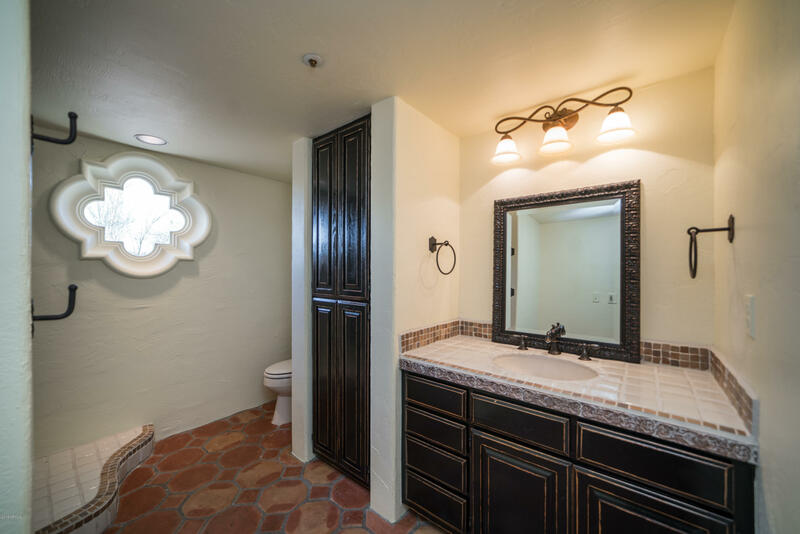 A gracious master retreat includes en-suite bath and private office or sitting room and cozy Kiva fireplace. 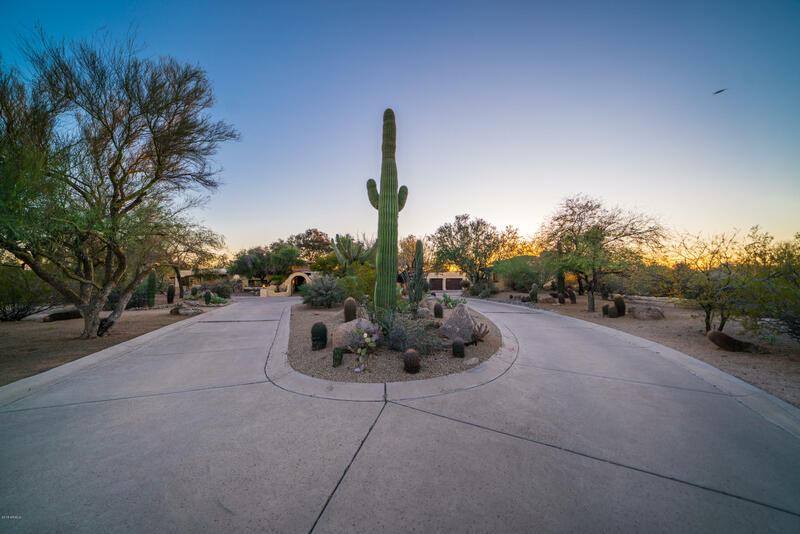 Relax in the serenity of a resort-like backyard with sparkling pool, ramada with fireplace, and expansive patio. 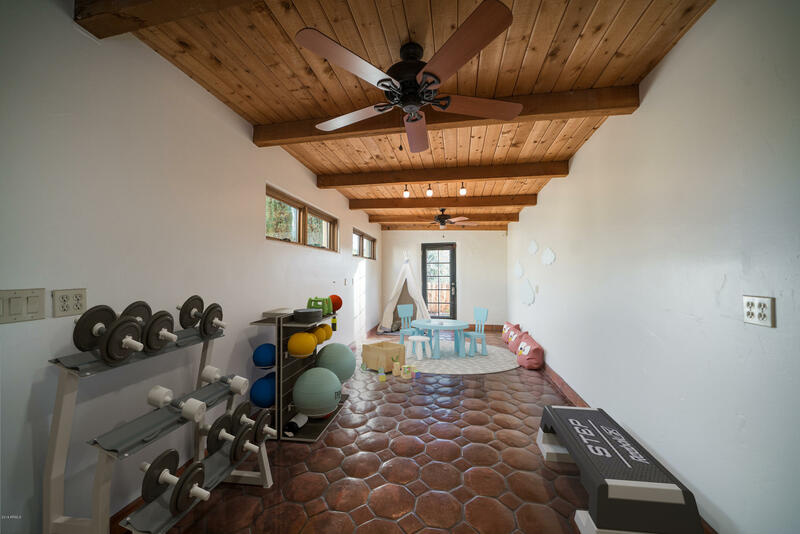 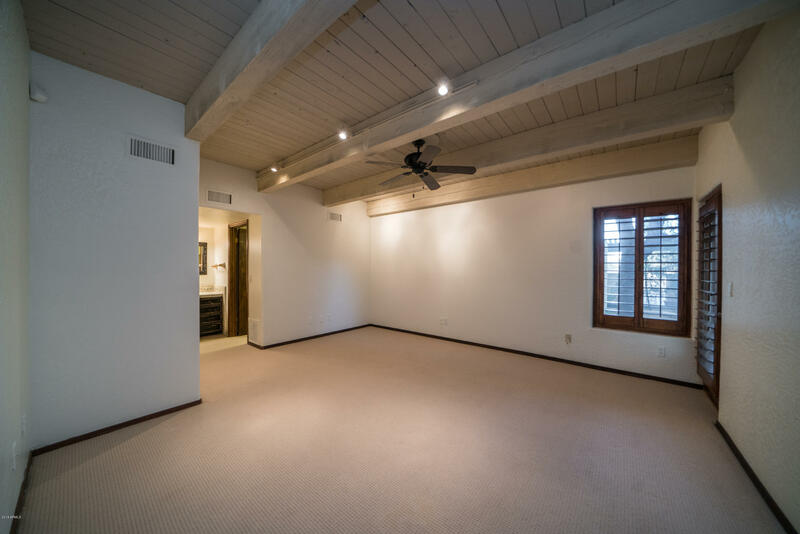 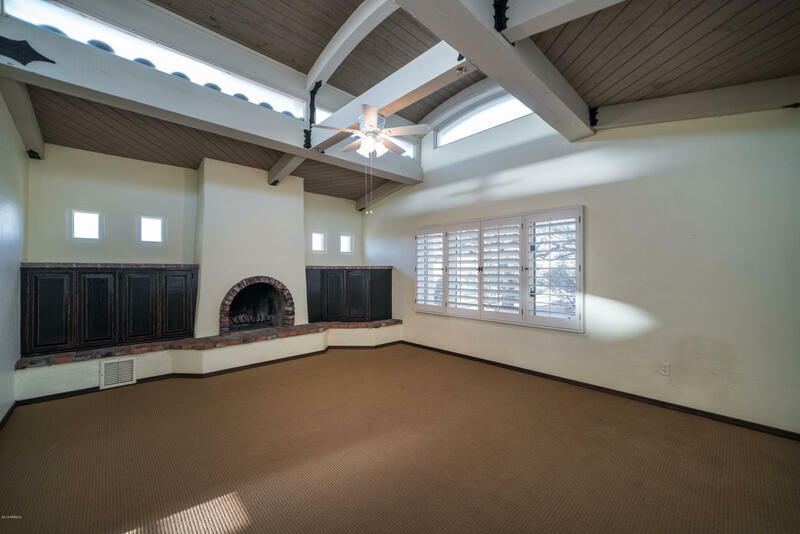 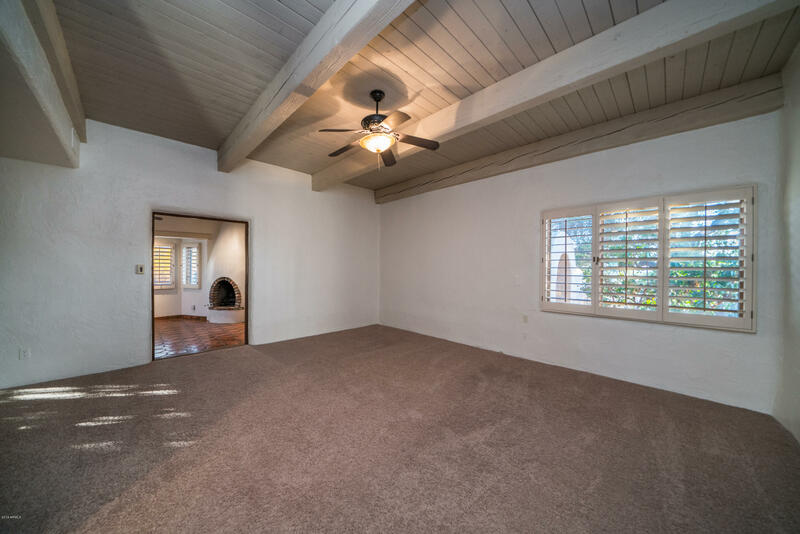 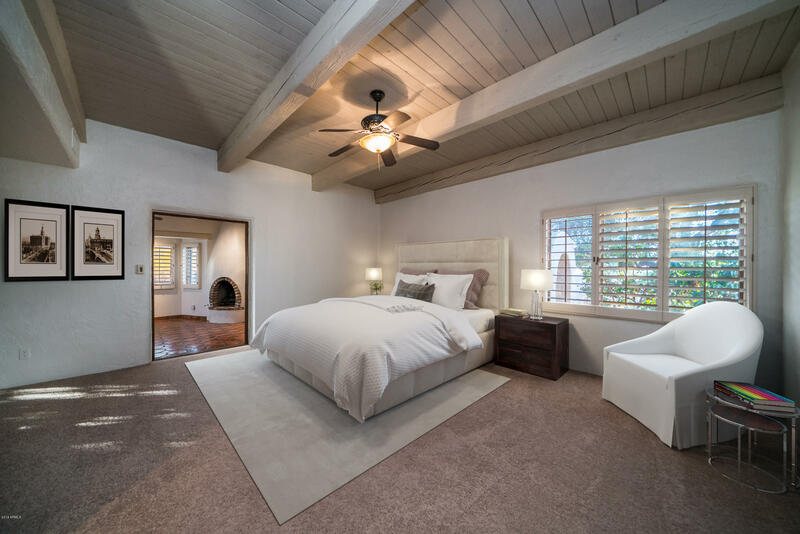 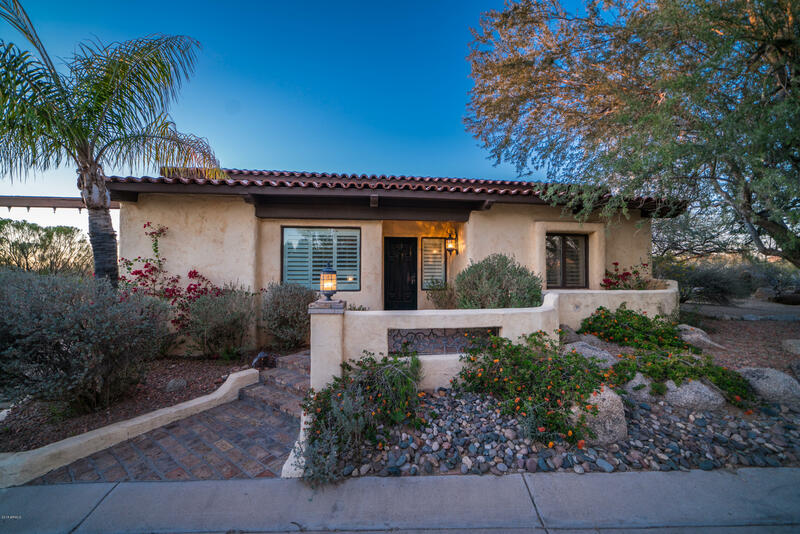 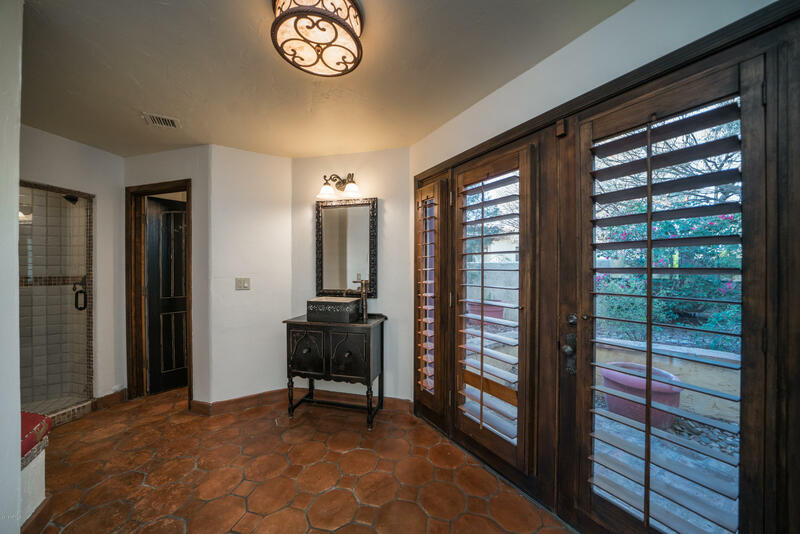 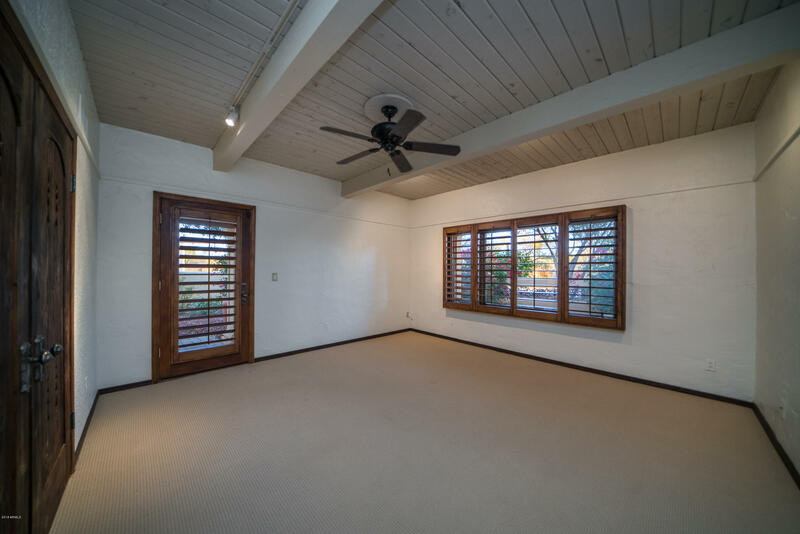 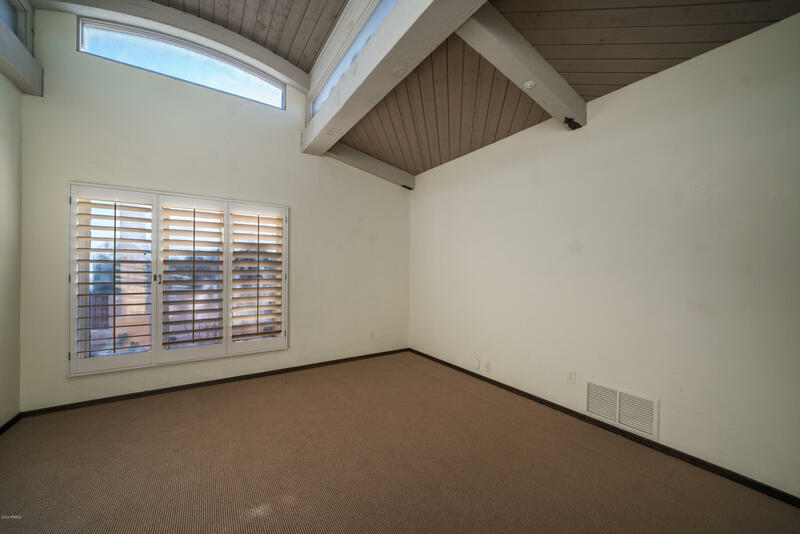 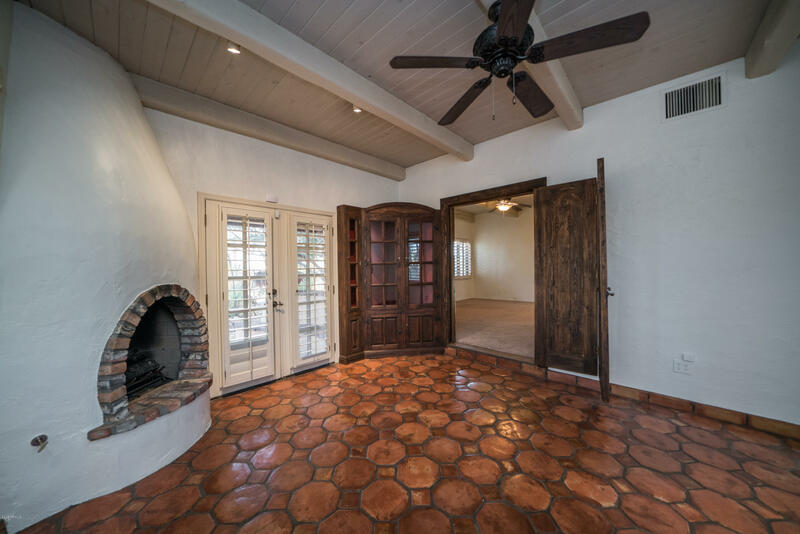 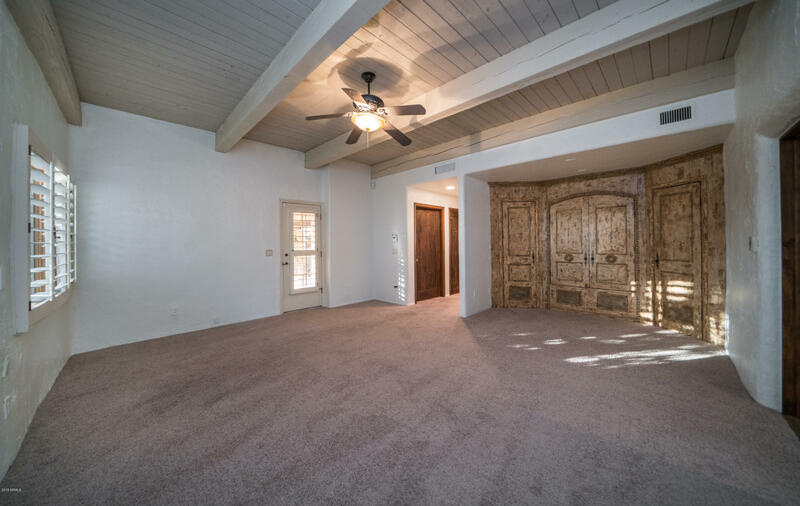 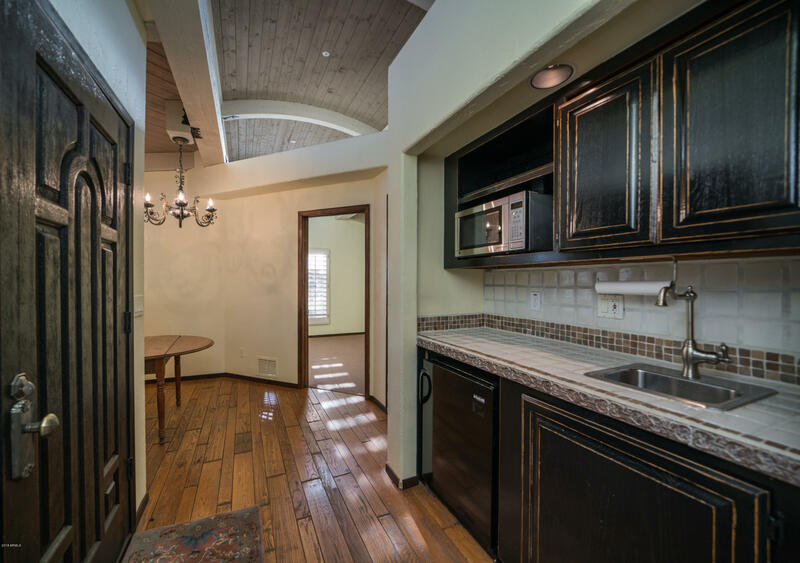 Recently refreshed in Santa Barbara Style, the 3 bedroom, 3 bath, 4,975 SF residence has been beautifully maintained and updated.